An astonishing effort on the part of the leading Klingon scholars of today, telling a story of blood, honour and vengeance in true Klingon tradition. 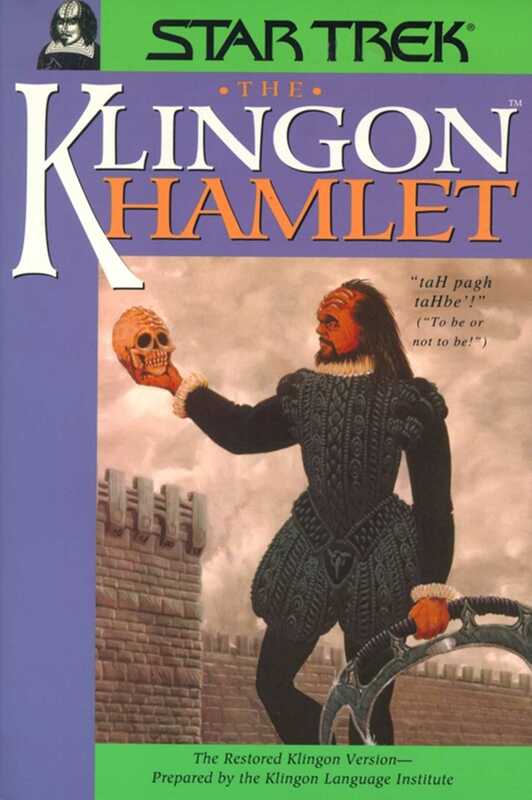 With the English-language version printed on the left and the Klingon on the right, this best-known of Shakespeare's plays, a tour-de-force of Elizabethan theatre, can now be read and understood in the great warrior tongue even by non-Klingon speakers. As General Chang (Christopher Plummer) was heard to remark in the movie Star Trek IV: The Undiscovered Country: "Shakespeare is better in the original Klingon." Building on the groundwork of linguist Marc Okrand, author of The Klingon Dictionary, who constructed a fully spoken language out of what began as little more than a background prop, the Klingon Language Institute in Flourtown, Pennsylvania, is dedicated to the study and teaching of Klingon as a living tongue. Translating the great works of literature, Hamlet among them, is central to their philosophy of education and discovery.